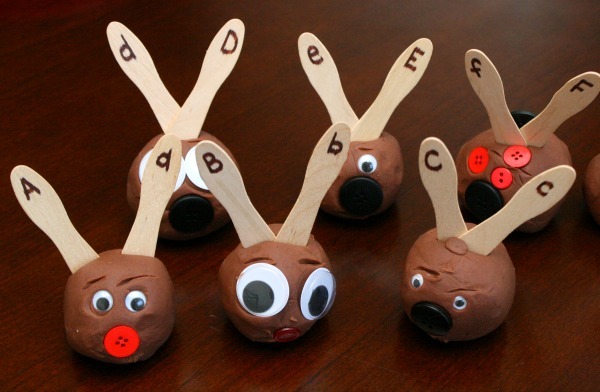 Earlier this week I shared our reindeer play dough invitation that was inspired by a few twigs in the yard. 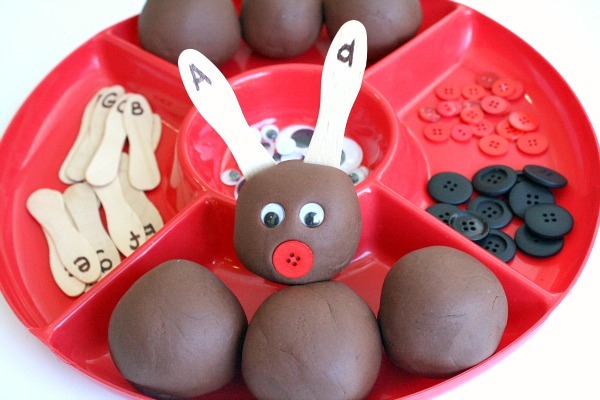 The smooth chocolaty play dough we made for that was just begging to be used for more play and learning, so I put it to use in this alphabet matching activity. 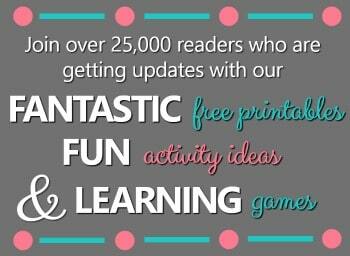 Use it as a fun Christmas learning activity to practice the ABCs. 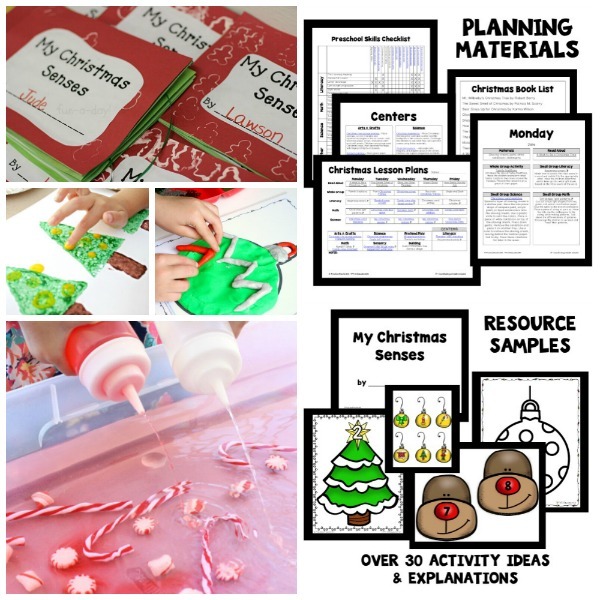 Gather materials into a tray or small containers for play time. 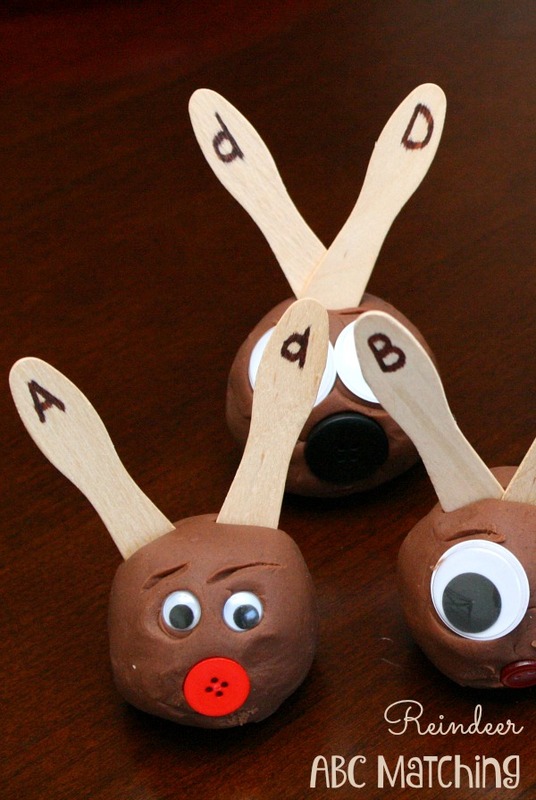 Label the craft spoons with upper and lowercase letters so that kids can match them. I also rolled the play dough into balls, but you can leave it however you’d like. 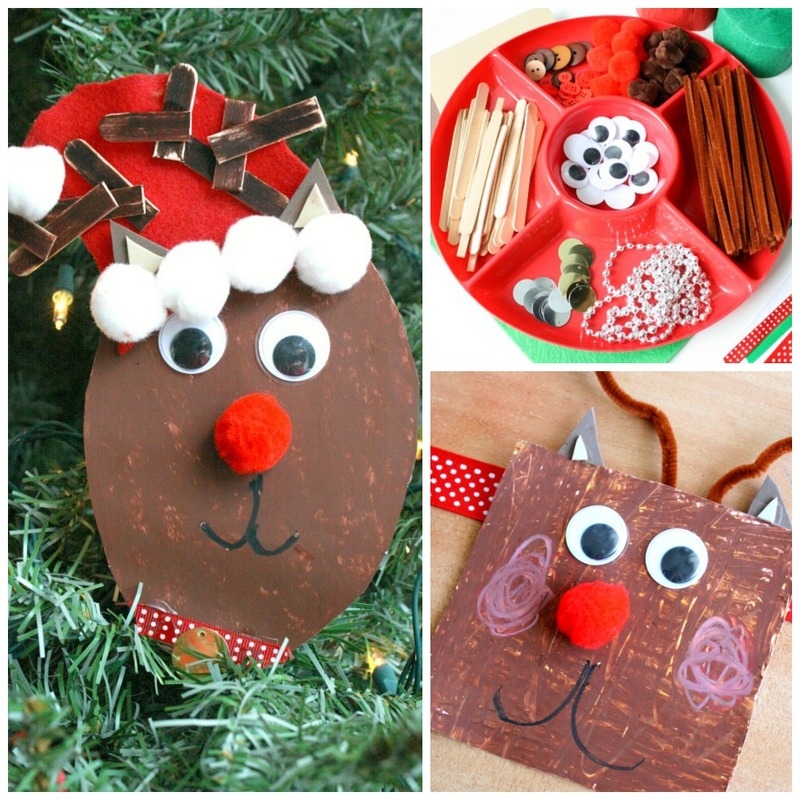 Kids will have fun making all sorts of shapes for their reindeer. 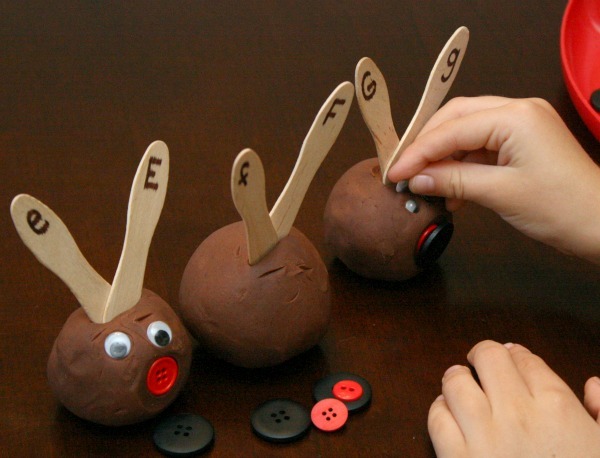 Tinker had so much fun making her little ABC reindeer. She started by matching all the letters. Then she added facial features. She even decided to go in and add eyebrows, mouths, and dimples. 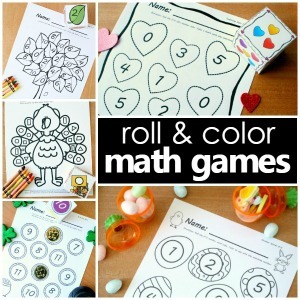 This is a fun way to practice the ABCs as the holidays approach. 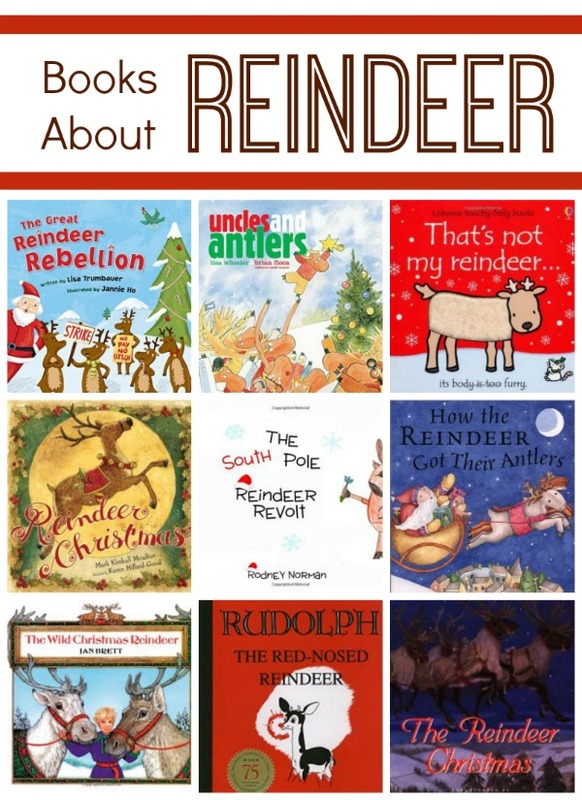 Pair this activity with some of the books from our reindeer book list.